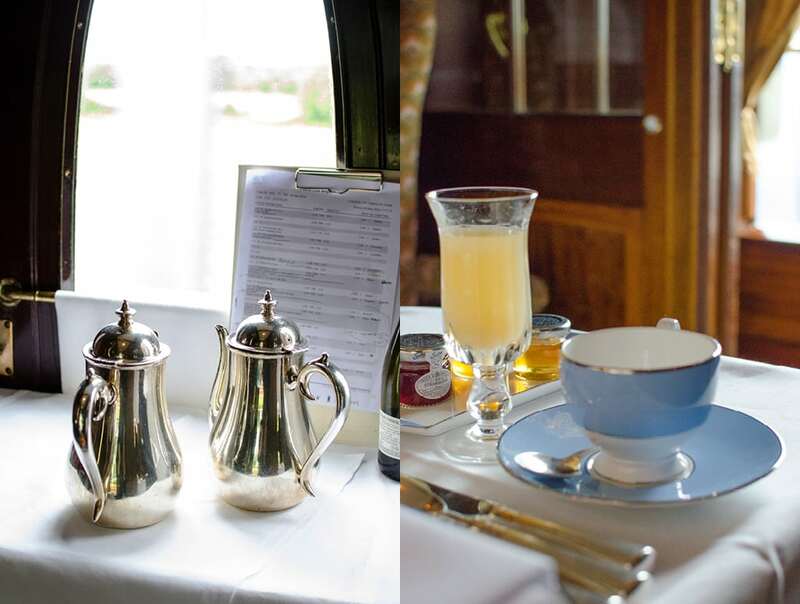 When the Bearleader was invited to take a day trip on the Belmond British Pullman train to York, we jumped at the chance. 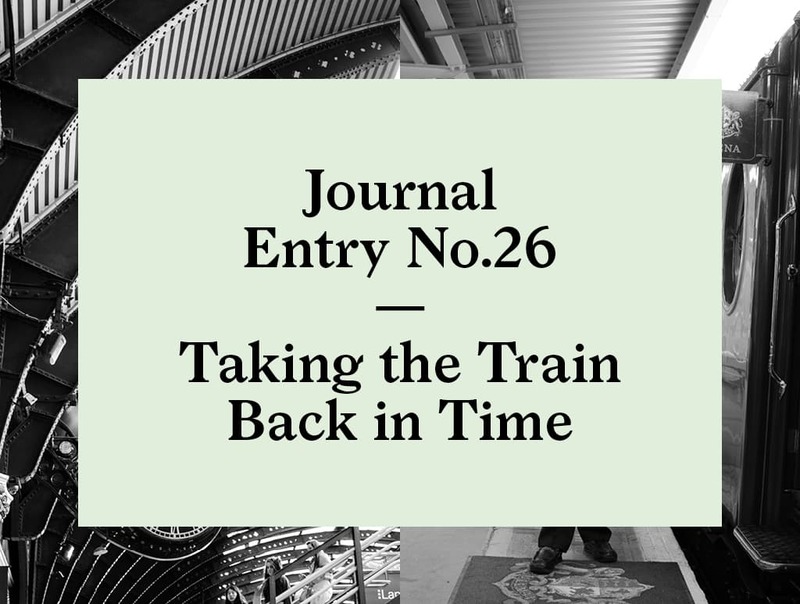 We are avid readers of Miss Marple and Hercule Poirot stories, and to have the chance to briefly step into their fictional world of early-20th-Century travel glamor was too good to pass up. 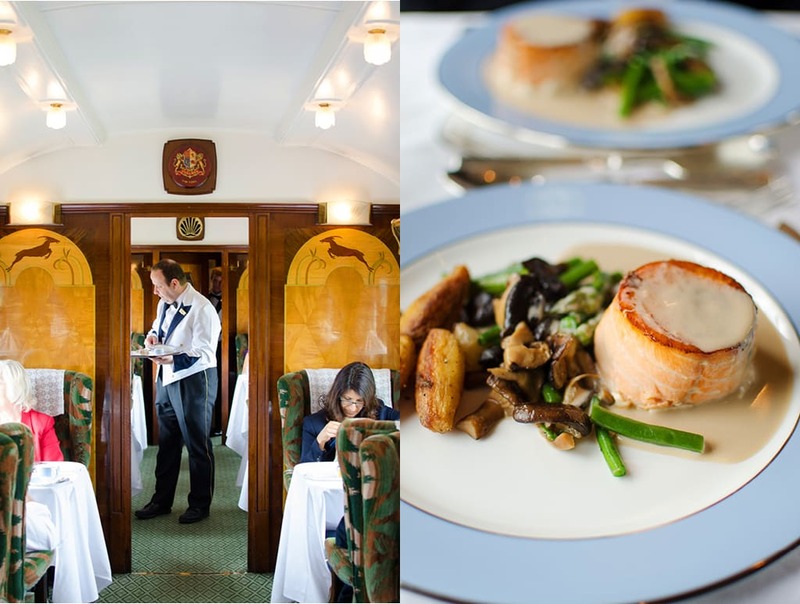 What better way to experience first hand what it would like to go along for the ride in an Agatha Christie novel? Early in the morning we made our way to Victoria Station, platform No.10 to meet our train. 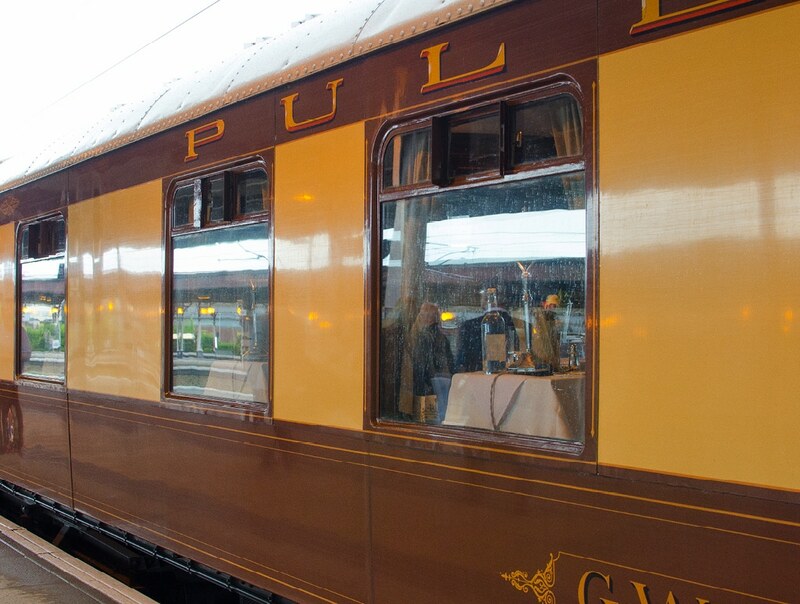 After checking in you are directed to one of eleven coaches, each identified with a sign showing its original name; Audrey, Cygnus, Gwen, Ibis, Ilone, Lucille, Minerva, Perseus, Phoenix, Vera, and Zena. We had a private coupe compartment in Zena, a first-class parlor car with 24 seats. built in 1928 by Metropolitan Cammell Carriage and Wagon Ltd, this carriage was recently used as a location for movie “Agatha” about Agatha Christie. 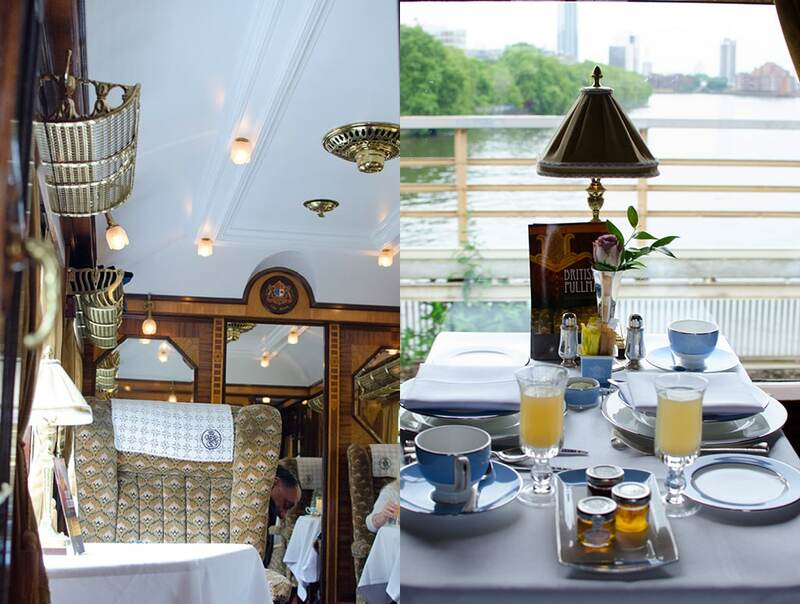 The train is owned and operated by the Belmond group. Researching the trains I was intrigued to learn about James Sherwood, the man who bought the trains and put them back on the tracks. He made his fortune in shipping and purchased two carriages at auction in Monte Carlo. 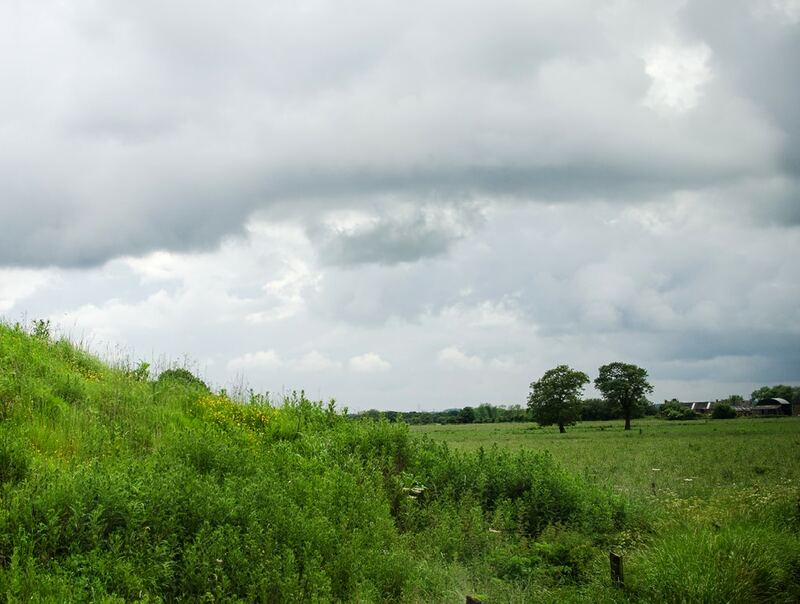 Everyone thought he was crazy to buy something as useless as a couple of old train cars. 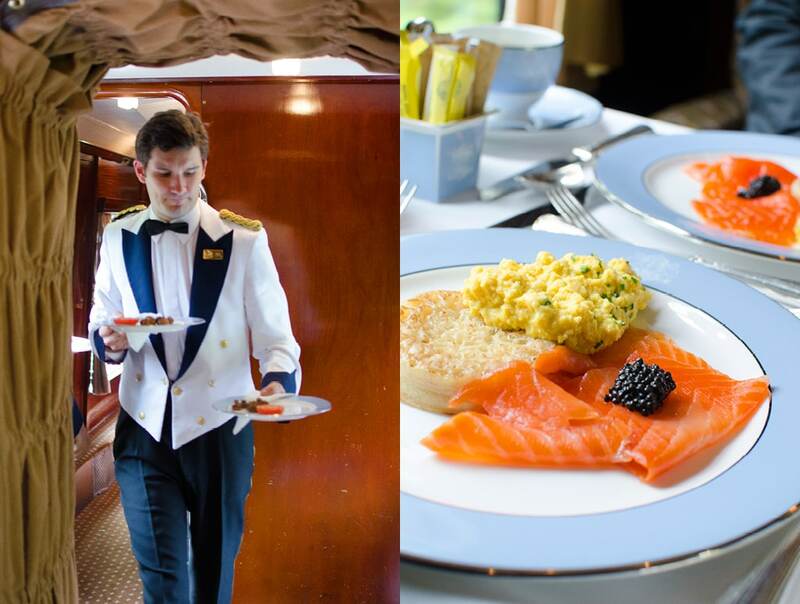 After all, isn’t luxury train travel dead? 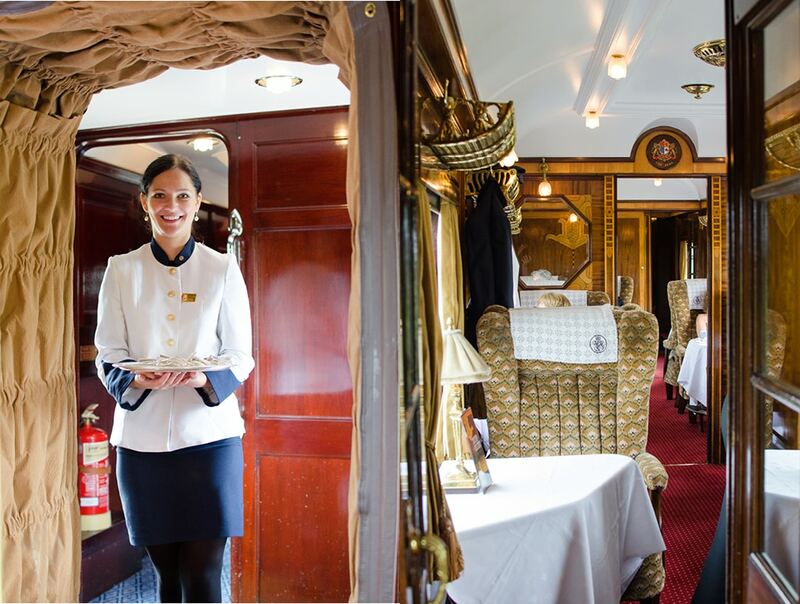 Funny though, the British Airways Concorde has come and gone, but the great British Pullman trains are still chugging along, well frequented and still hugely popular. 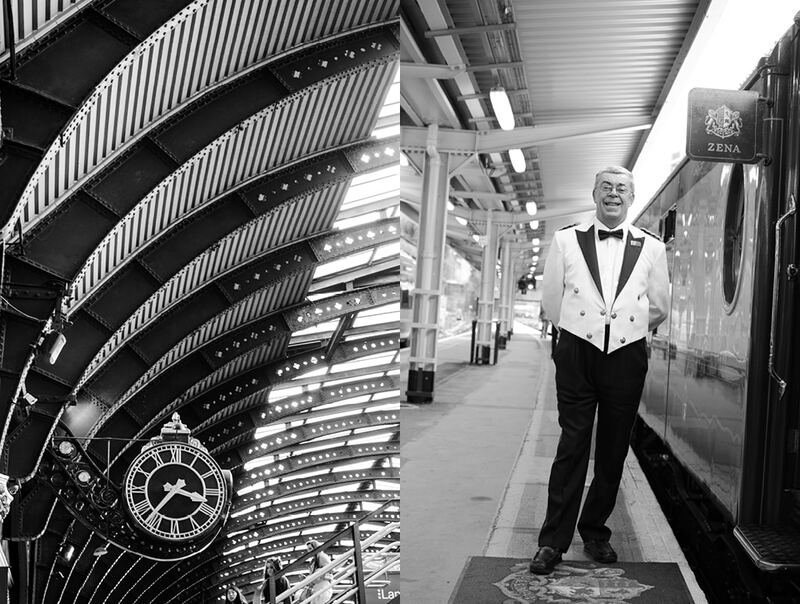 Belmond offers a variety of excursions and specialty trips (week-long, overnight and day trips) departing from Victoria Station to York, Scotland, Folkstone and Cornwall. 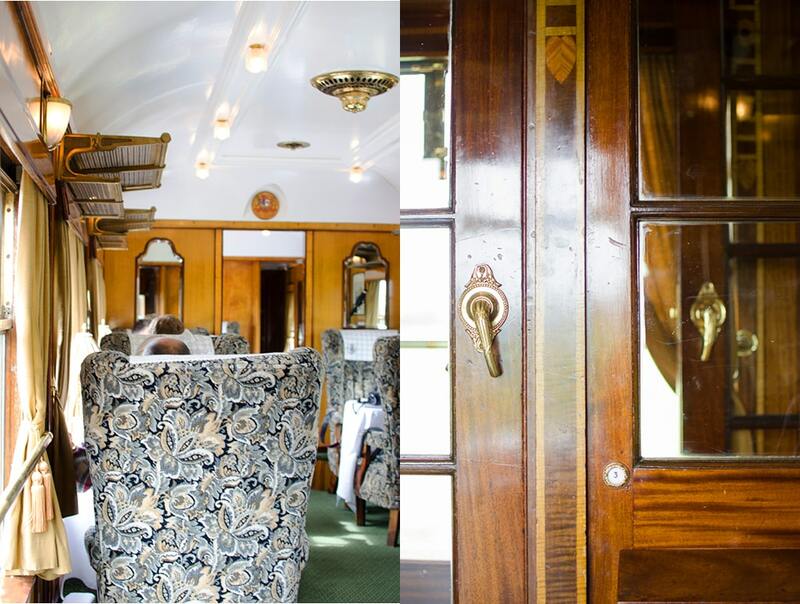 The carriages are beautifully restored to their original condition. The interior detailing is just gorgeous. 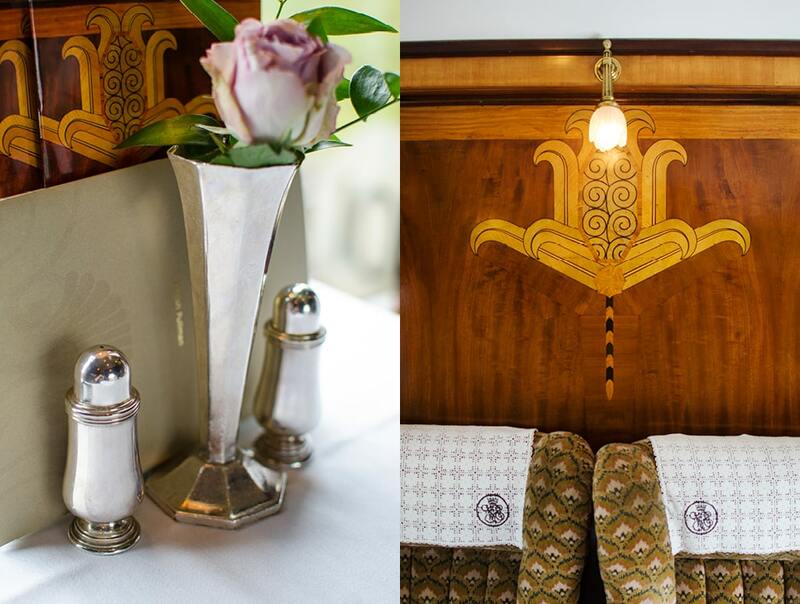 And since this kind of craftsmanship is rare in our modern world, being in these old rail cars, you really feel like you have stepped back in time. 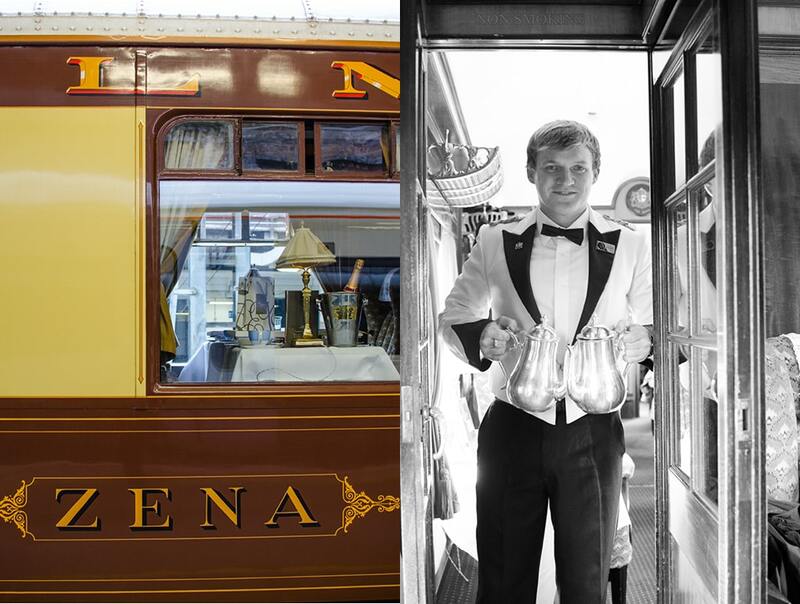 The trip is part historic adventure and part fine dining on wheels, which calls for a bit more style than what normally passes for travel attire these days. Dressing up a bit makes sense since many people take this trip as a way of celebrating something, even if it is just a celebration of early train travel. I chatted with some of the other guests to see why they came on this trip. The responses were wide ranging, from anniversaries to birthdays, and a group of school friends celebrating and an engagement. 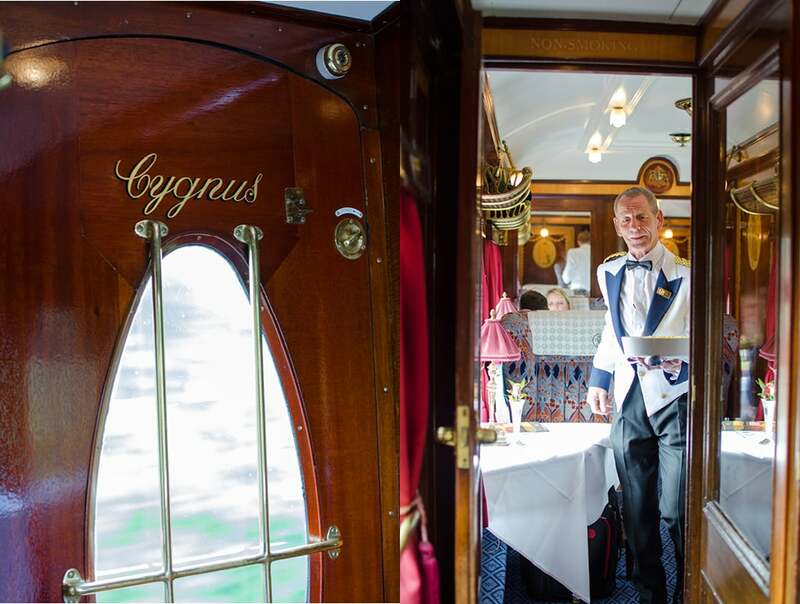 Speaking of engagements, if that is your plan for the trip, the train is equipped with all the necessary props for your proposal. A special pillow for kneeling is on board and ready at a moments notice—in case the mood takes you. 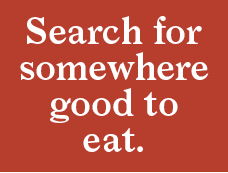 And of course we should mention the food. One cannot help but make the comparison with what’s on offer in a modern train: a pack of crisps, a soda and a packaged sandwich if your lucky. No no, This is truly fine dining on wheels. 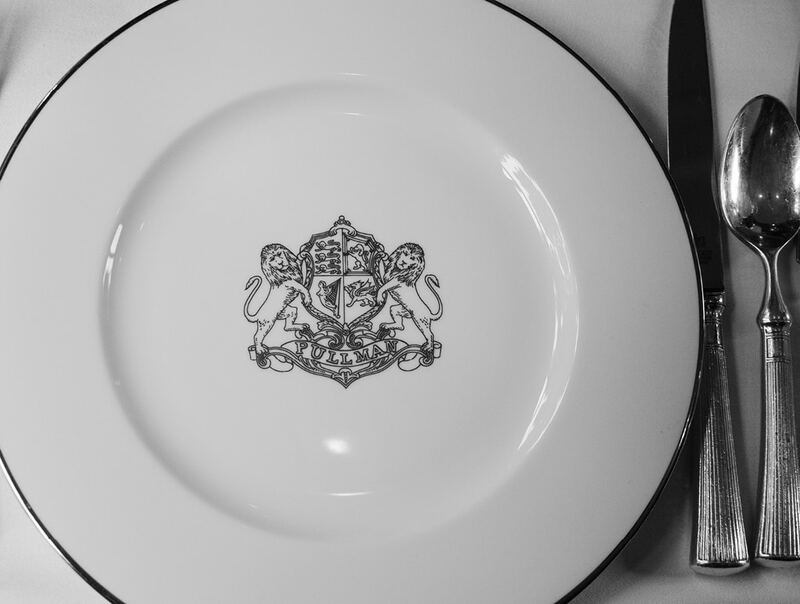 A prix fixe menu drawn from British classic dishes, and of course all the ingredients, british caught, raised or otherwise produced on the Isles. 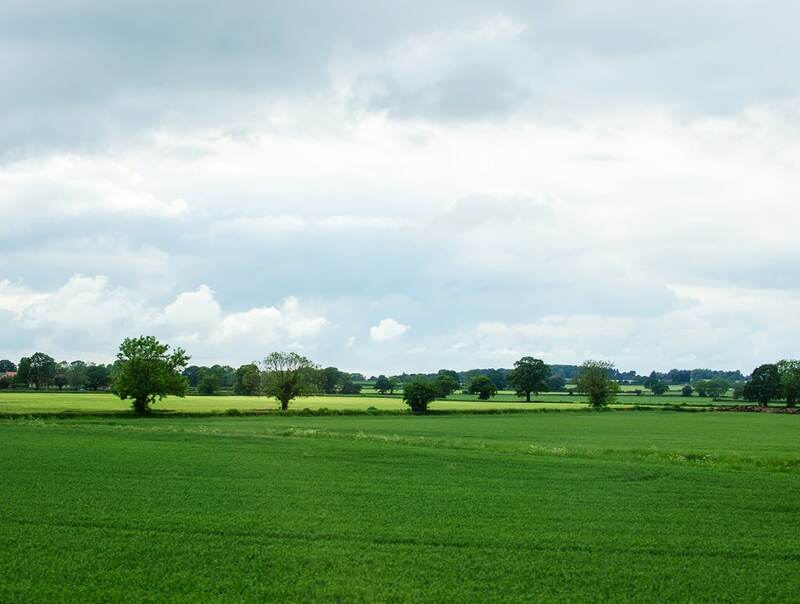 And as you dine, all the while the picturesque English countryside is slowly passing by. 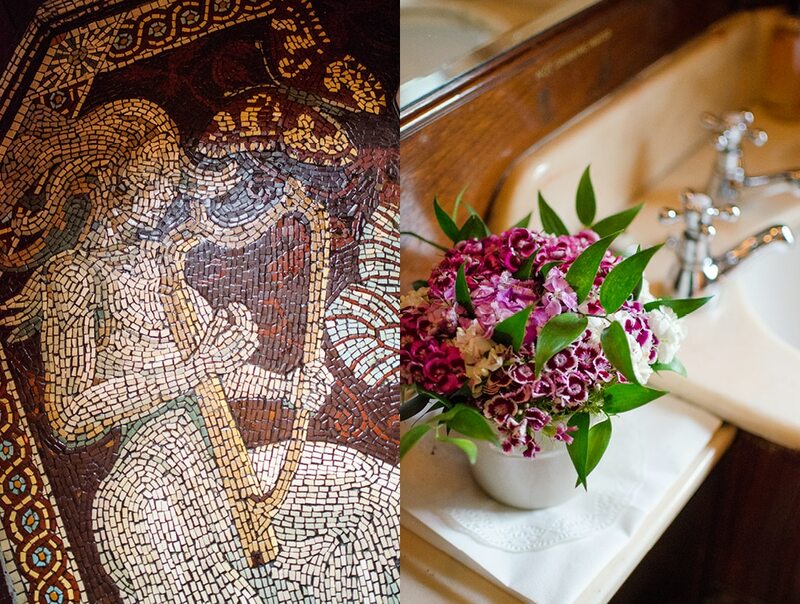 If there was one thing that really set the stage for our trip back in time, it was the amazing original hand-crafted interiors. 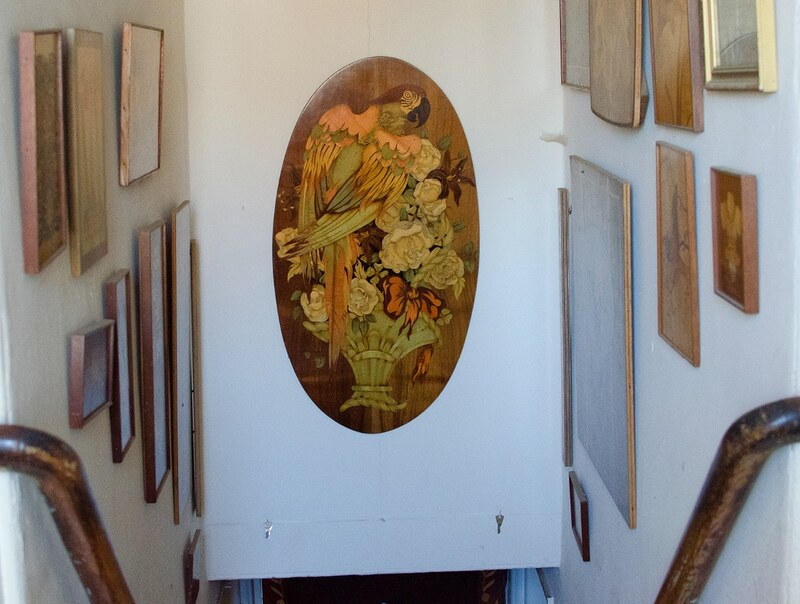 All the cars are wood paneled and each uses a different decorative motif, implemented in the paneling with a technique of wood inlay known as “marquetry”. Following our trip we researched this technique further, and discovered that the company that created the original cars is still in operation not far from London. 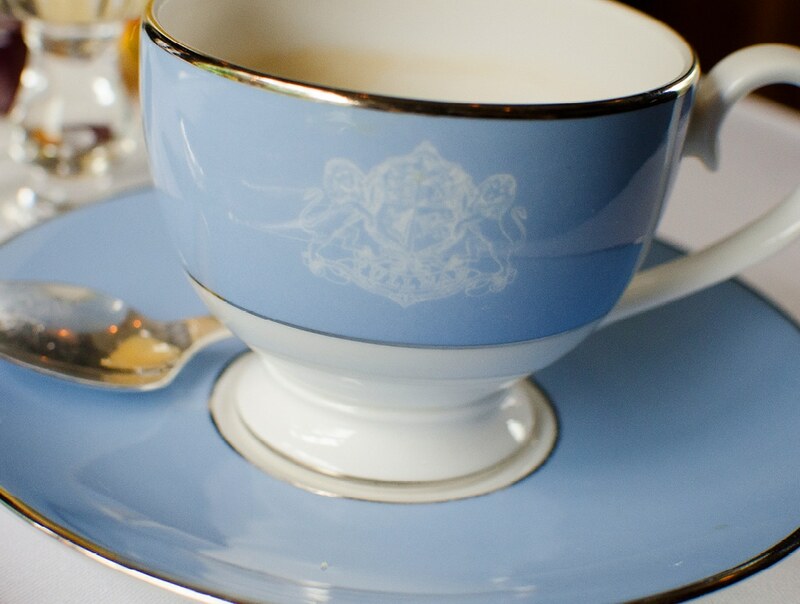 We couldn’t resist extending our story to include the back story on the interiors. 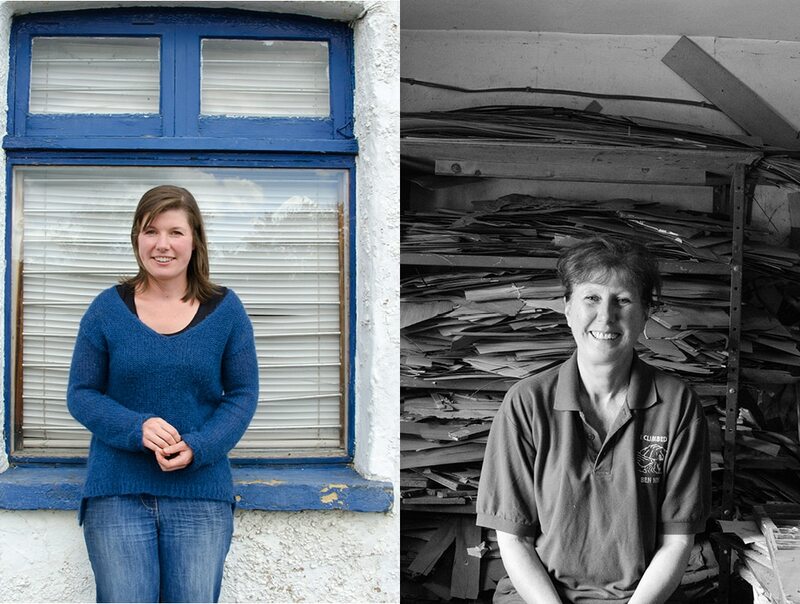 so we made arrangements to meet Sheryl Dunn and her mother, the fifth generation to carry on this traditional craft at the company started by her great grandfather. An hour train ride from London we arrived at a wonderful old building, the home of A. Dunn and Son for the last two generations. 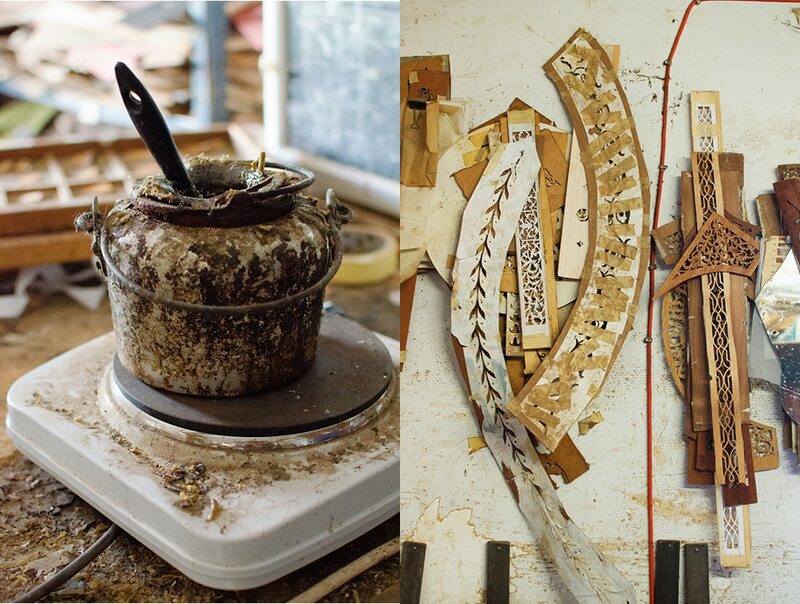 Sheryl gave us a tour of the operation and demonstrated the various steps in producing marquetry. 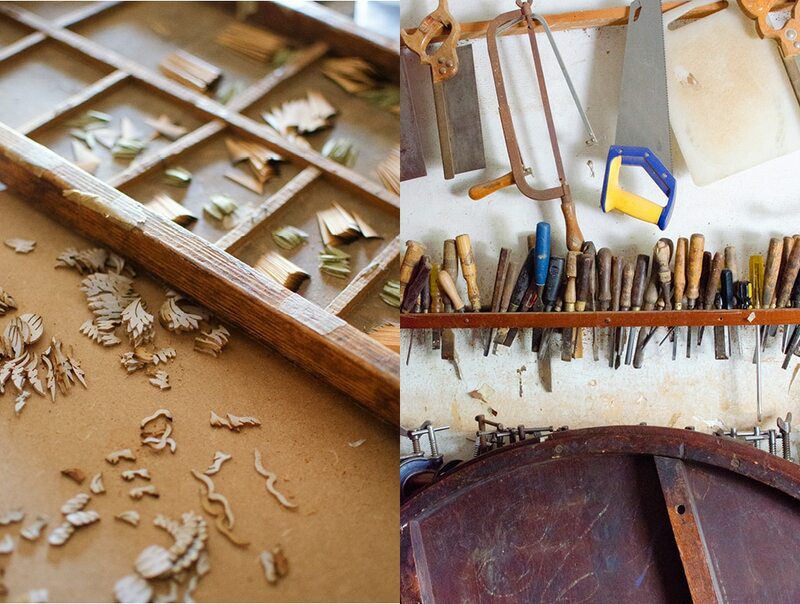 We learnt that all the intricate pieces of wood are cut with a special hand-saw rig called a “donkey”, that the special shading in the woodwork, so distinctive to marquetry, is produced with the “hot sand” technique, and that decorative panels are glued together with natural glues, the same as has been used for generations. 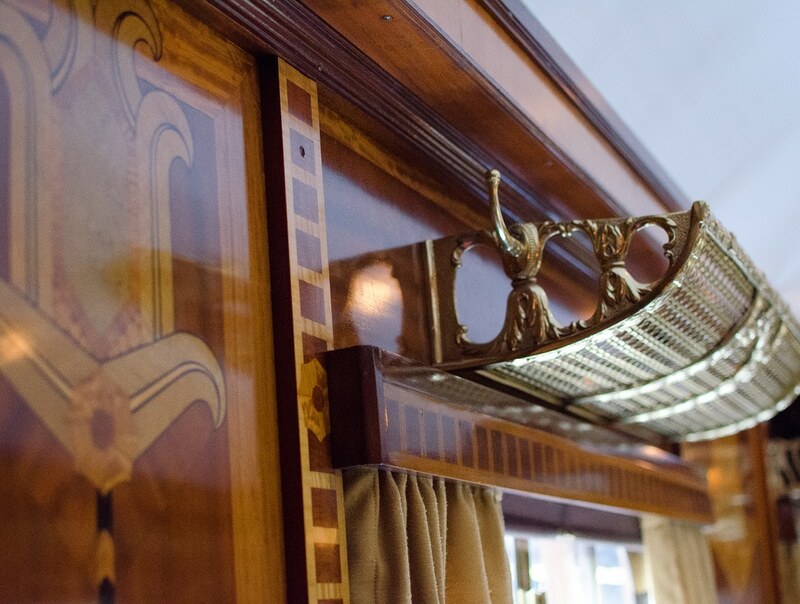 Sheryl showed us that antique panels using natural glues, like the ones in the Pullman trains, can easily be heated and re-pressed to make them virtually like new. More recent work with modern glues is less flexible and once damaged, it is very difficult to restore. 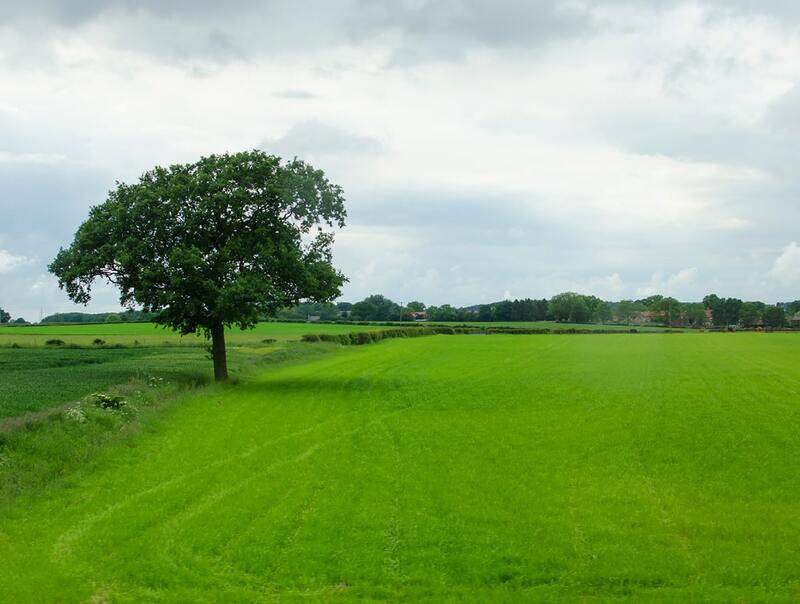 This is one example of how the old way is often the best way. 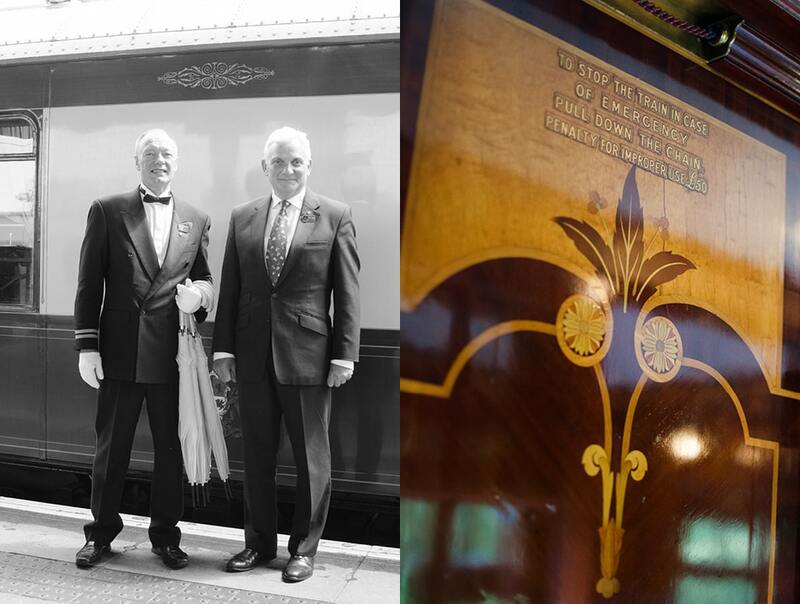 It was Sheryl’s grandfather who did the original work on the Pullman cars we rode in. 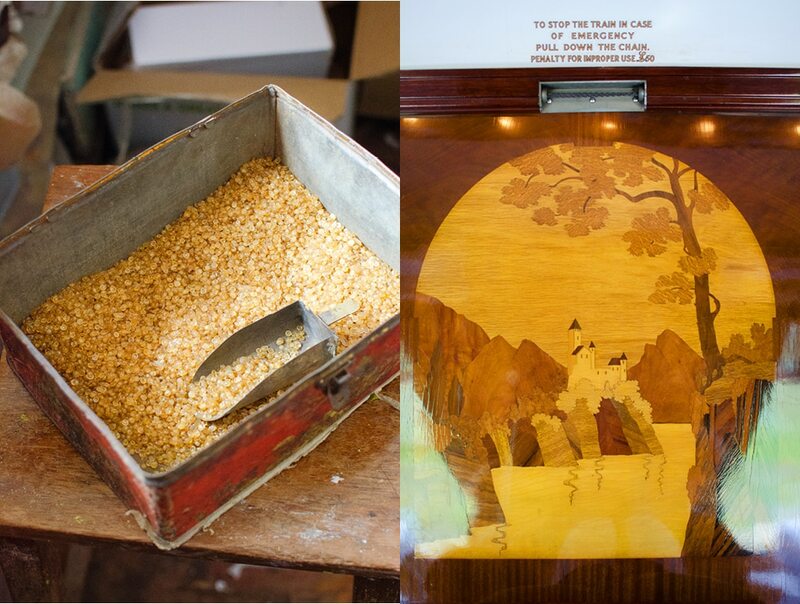 As Sheryl tells it, when the Pullman cars were ready for restoration, the new owners were cleaning up and by chance happened across a loose receipt for the original marquetry panels. The receipt was from A. Dunn and Son, which led the new owners to put the restoration work back in the hands of the company that made them. During our tour Sheryl pointed out a large stack of architectural drawings and casually said: “somewhere in there are the drawings for the Titanic panels. 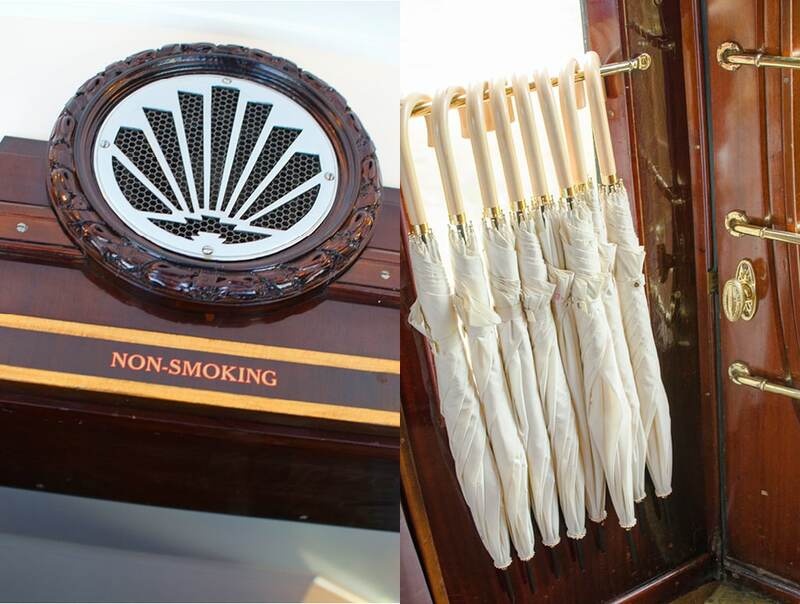 But we don’t know what they look like since no photographs of the interiors were taken prior to the first voyage, so now there is no way to reference them”. 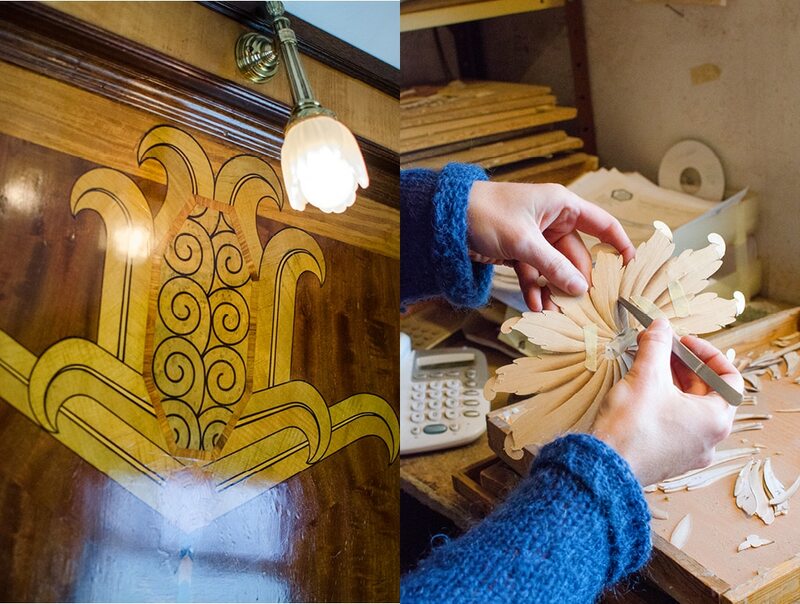 Sheryl’s great grandfather did all the marquetry work for the Titanic. The schedule was so tight that there was no time to document the work before the maiden voyage. So that undoubtedly beautiful work was only briefly used, and never to be seen again. 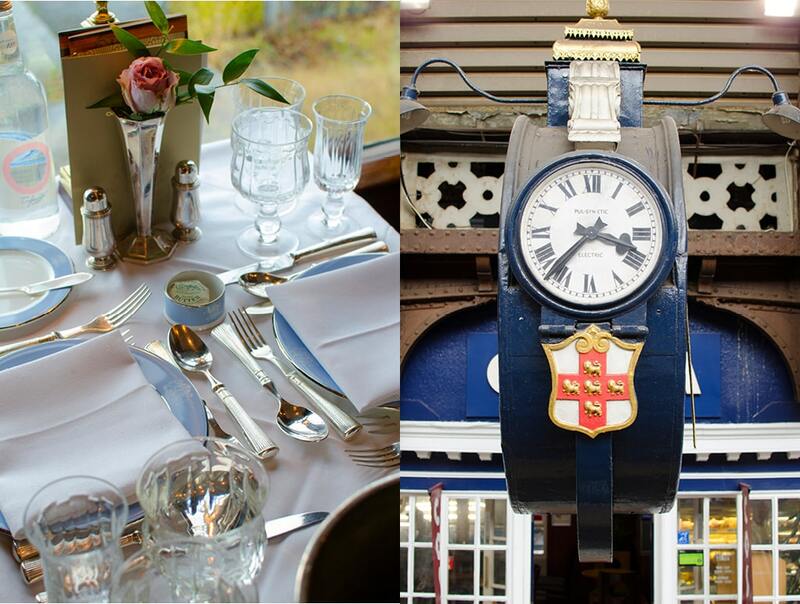 At least we can still see work of like quality in daily use by the Belmond British Pullman trains. 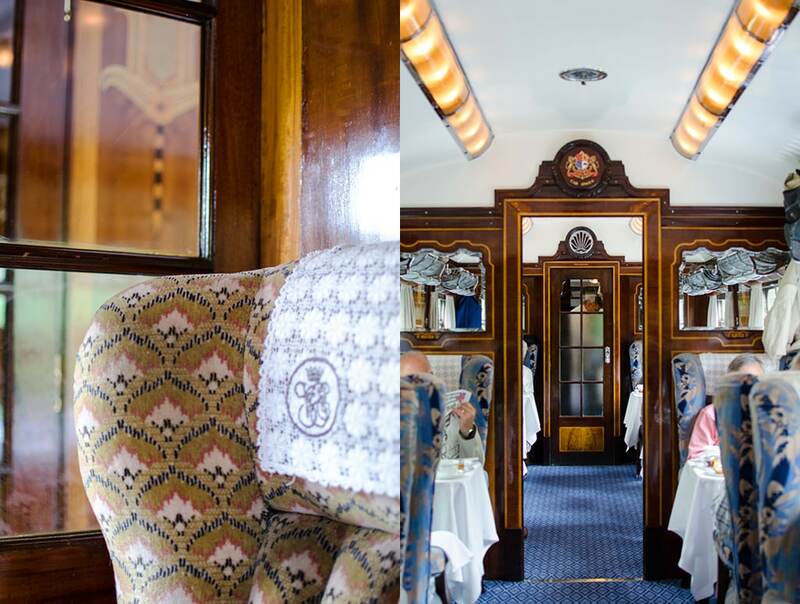 On the modern train back to London, with a bag of crisps and a plastic bottle of water in hand, I got a bit nostalgic for the British Pullman trains. Truly a journey through time. We cannot recommend this experience enough. All aboard!